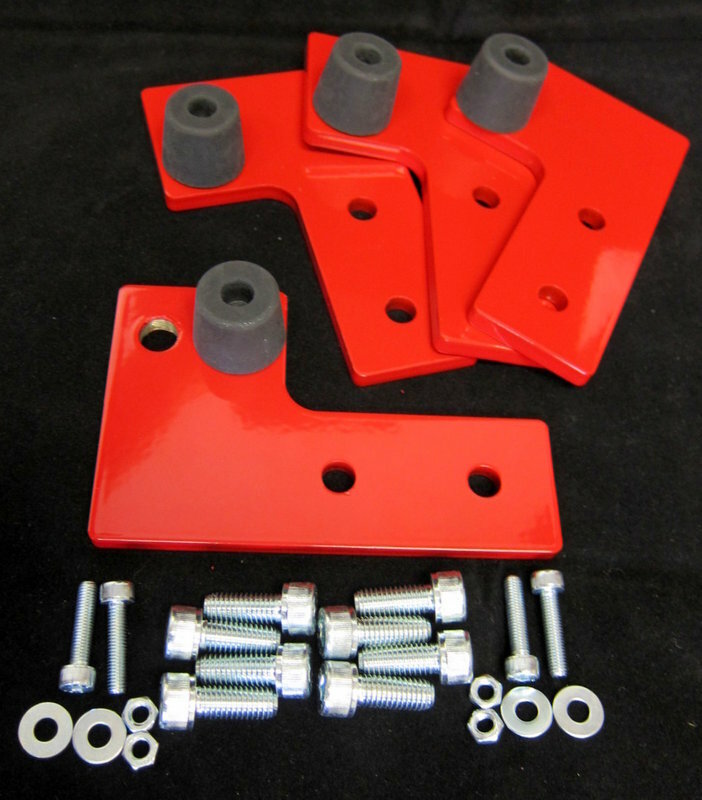 Our PRO X bumper kit includes (4) steel bumper units. They feature a durable powder coated finish, and are designed to attach directly to 40 mm series extrusion. This kit also includes rubber bumpers and M8 mounting hardware for attaching to the end of your extrusion. Each unit also features a 1/2" hole for easy integration with our Proximity Sensors. This product was added to our catalog on November 13, 2013.